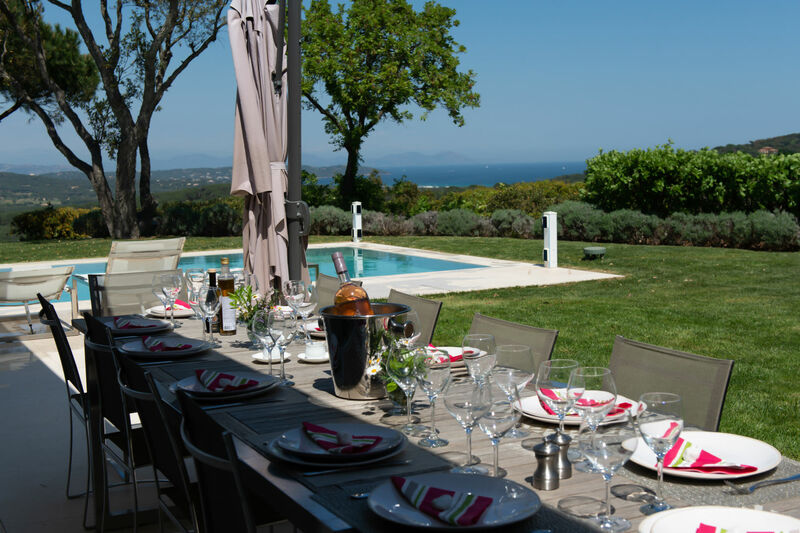 VILLA LA MAISON BLANCHE: Capacity of 16 guests. 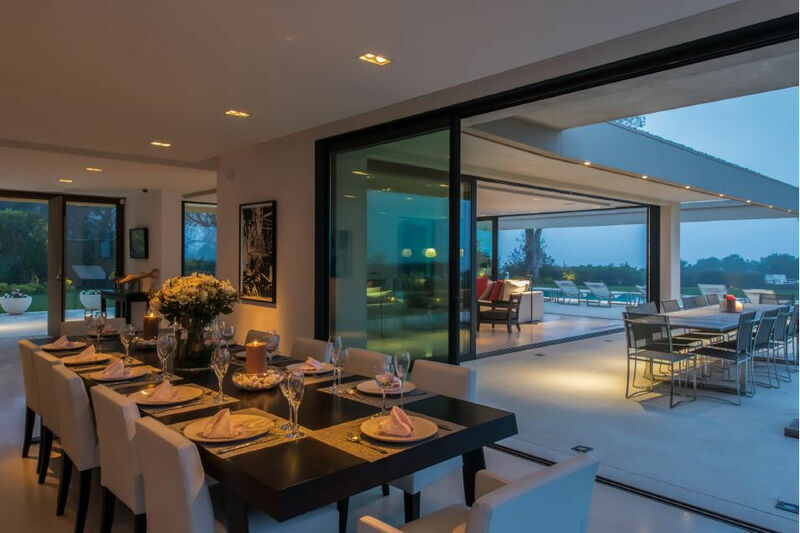 Sitting atop 6000 m² of land near Escalet Beach and overlooking a beautiful sea and countryside view, this 8 bedroom, 8 bathroom villa captivates with contemporary design and comfort. 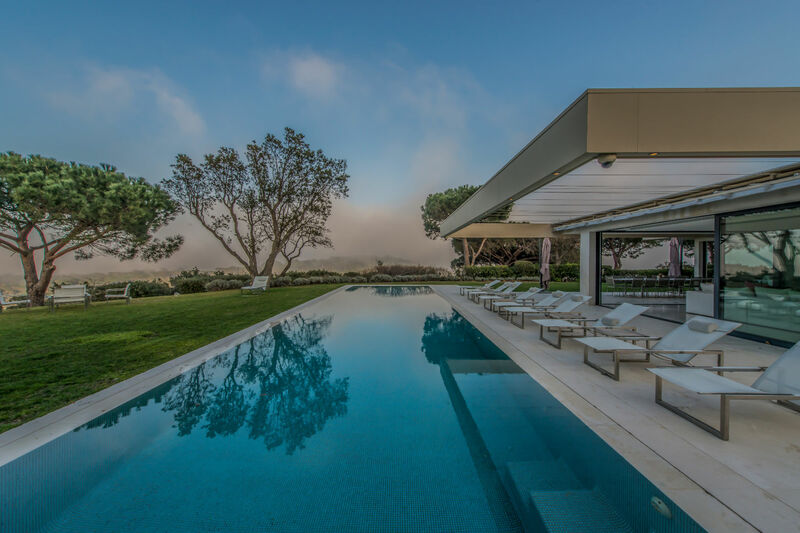 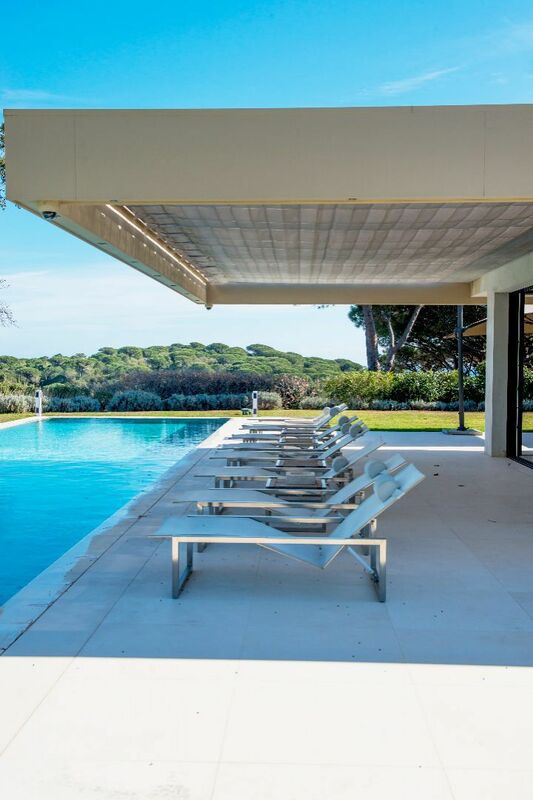 This truly remarkable villa is a masterpiece of architecture, with the private, well-manicured giving way to a spectacular vanishing-edge heated pool, covered terrace, and outdoor living and dining areas that take in the warm Mediterranean climate. 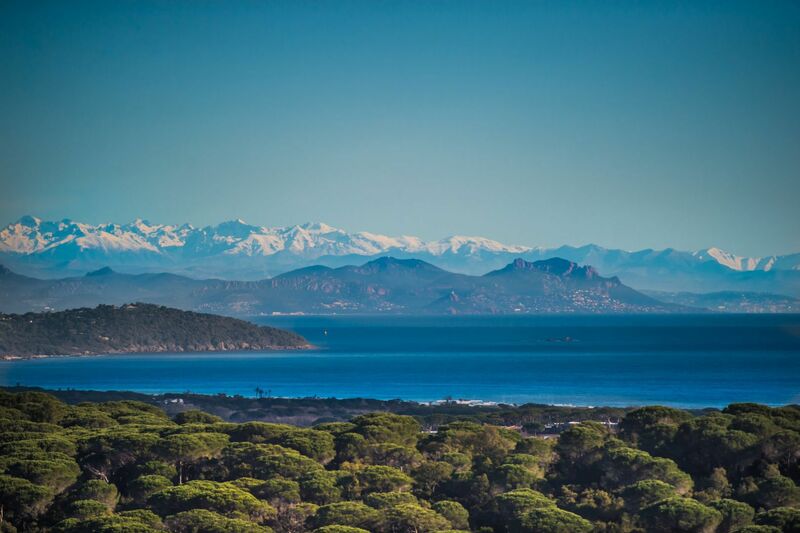 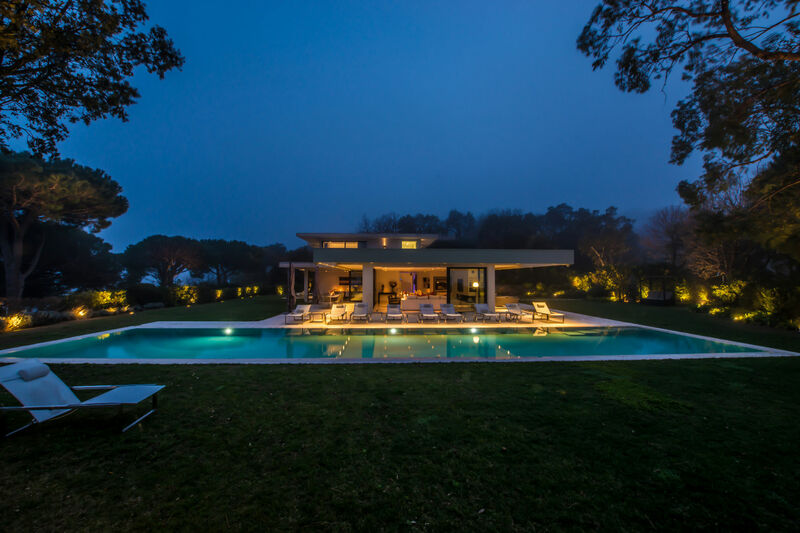 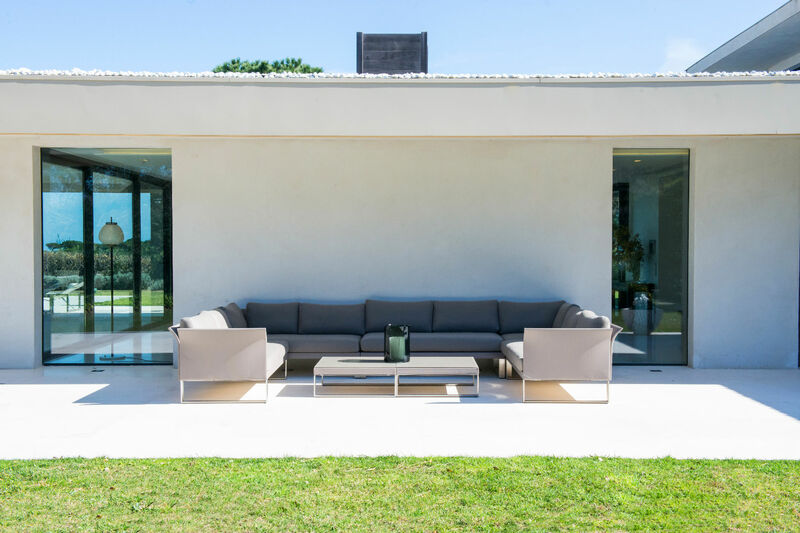 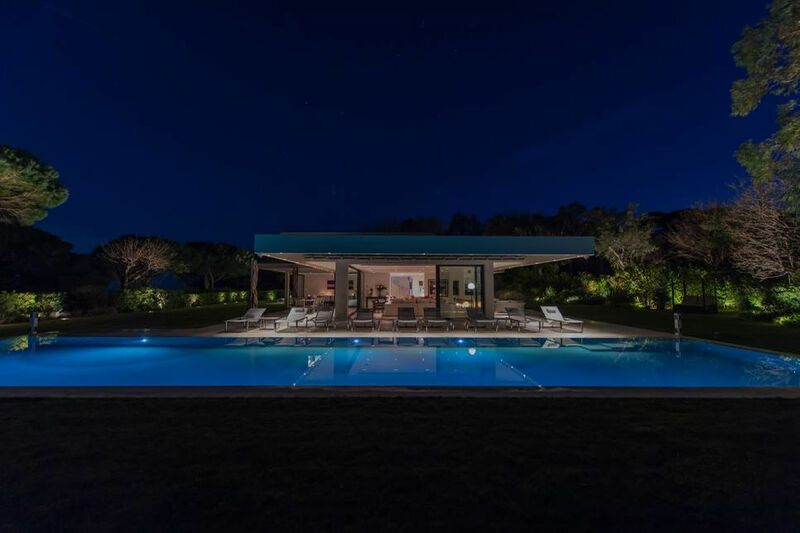 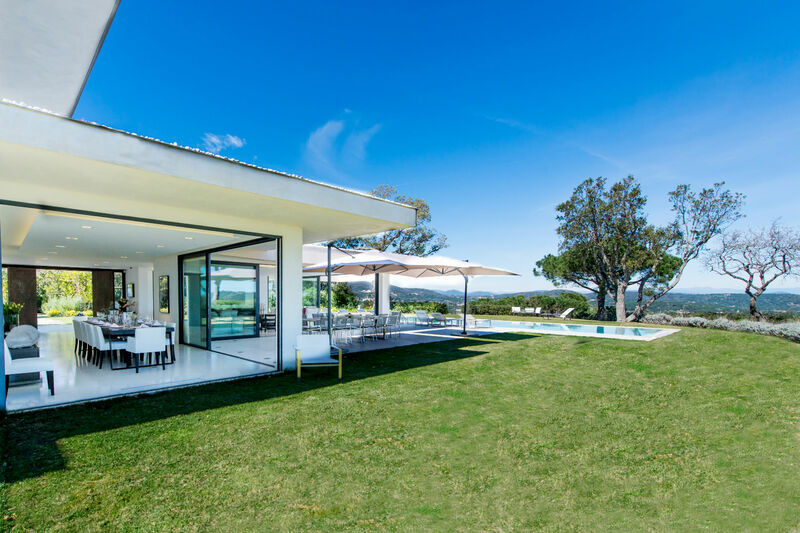 Inside, the Villa offers 550 m² of spacious living, with an open floor plan, exquisite gourmet kitchen, dining room for 18 guests, and comfortable living and lounging areas with large panoramic windows that look out onto the St Tropez countryside. 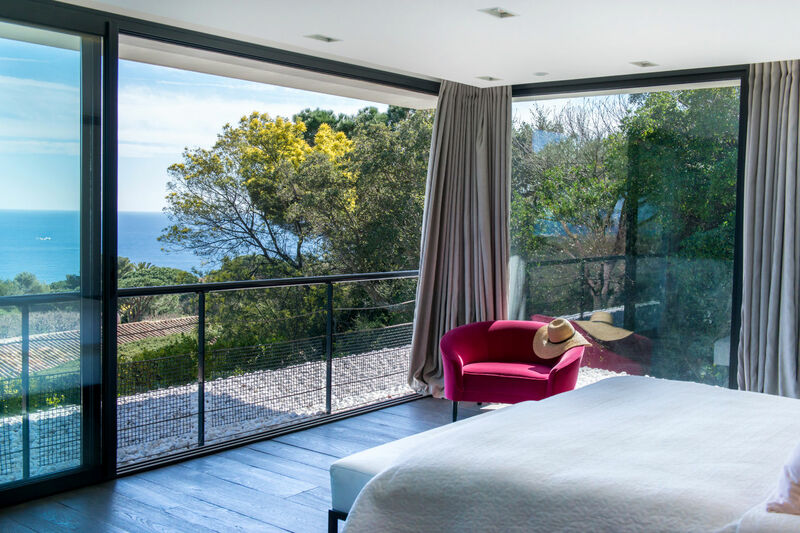 The 8 bedrooms are equally stunning, with spa-inspired en-suite bathrooms and plenty of privacy and space for all of your guests. ! 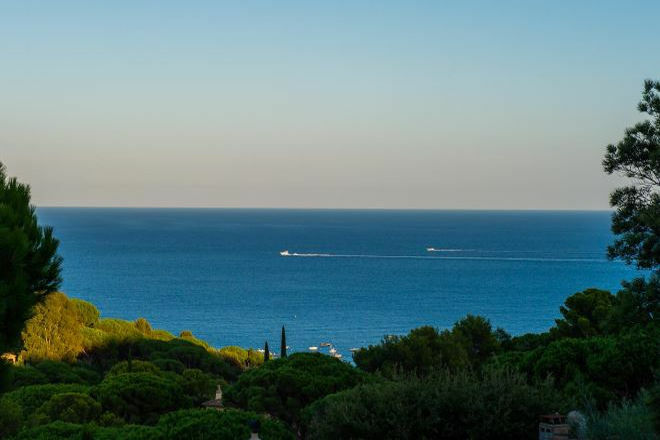 Just recently (2017): a landing plot for a helicopter ( type AS350 or similar) was added to the parking space, so that the guests can directly land / enter into the property!